EEF Food and Drink Manufacturing Bulletin. The EEF (The Manufacturers’ Organisation) have published their Food and Drink Sector Bulletin in partnership with Santander. 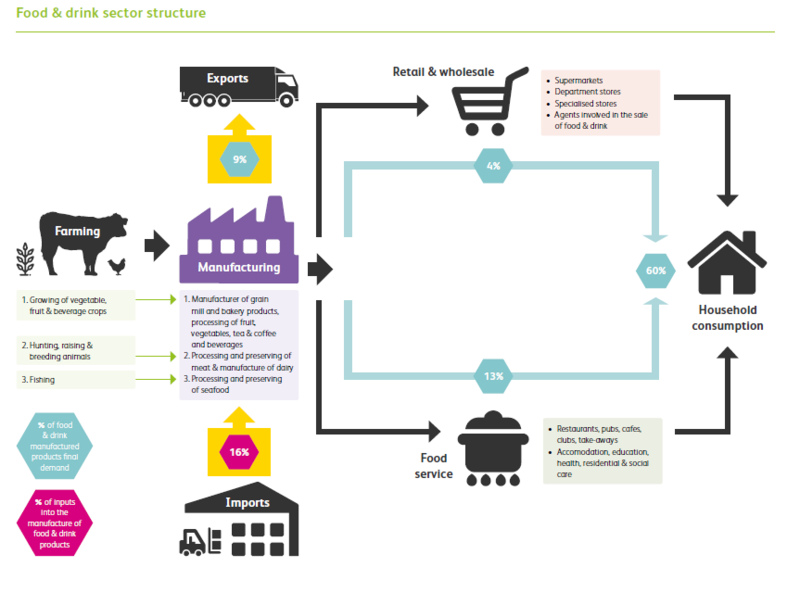 The report highlights the fact that the food and drink sector is the largest sector within UK manufacturing. Food and drink accounted for 16% of the total manufacturing output for the UK last year, followed by metal products on 10%. With the challenges that consistently face the sector, such as a complicated sector structure, high import costs, retail industry disruption and small margins now being exacerbated by the unknowns of Brexit, it is a tremendous show of resilience from the industry to be growing and flying the flag for UK manufacturing. The bulletin also drives home the fact that Brexit is a significant hurdle and concern for the sector. With 60% of products being exported within the EU and a third of its workforce being non-UK EU nationals, perhaps the biggest test of the food and drink manufacturing sector’s resilience is still to come?